Wi-Fi cameras have revolutionized home security, but they have one obvious limitation—they require a Wi-Fi connection to function. If you need to put a camera in a location your Wi-Fi network just can’t reach, or if you’d like to install a security camera in your RV, vacation home, or some other spot where you don’t want to pay for full-time broadband access just to support a camera, you’ll want to take a look at Netgear’s Arlo Go. The company’s latest DIY security camera cosmetically resembles its predecessors, but it has one significant difference under the hood: a cellular modem that connects via 3G and 4G LTE networks. That means it will connect even out in the sticks–as long as you have cellular coverage; specifically, a data plan with Verizon, the only provider Arlo Go currently supports. If you’re not a Verizon subscriber, you can you can use the camera with Netgear’s Arlo Mobile service. Arlo Go comes pre-activated with 15 minutes worth of recording time so you can use the camera right out of the box. Once you reach that limit, you can sign up for one of Arlo Mobile’s three service plans for uploading 30-second video clips: $3.99 per month for one 30-second clip per day (or 30 clips per month), $18.39 for eight clips per day (240 per month), or $26.39 for 15 clips (450 per month). Those are for service plans that are billed annually. Opt for pay-as-you-go and the three plans cost $4.99, $22.99, and $32.99 per month respectively. You can purchase silicone skins to help conceal the Arlo Go outdoors. 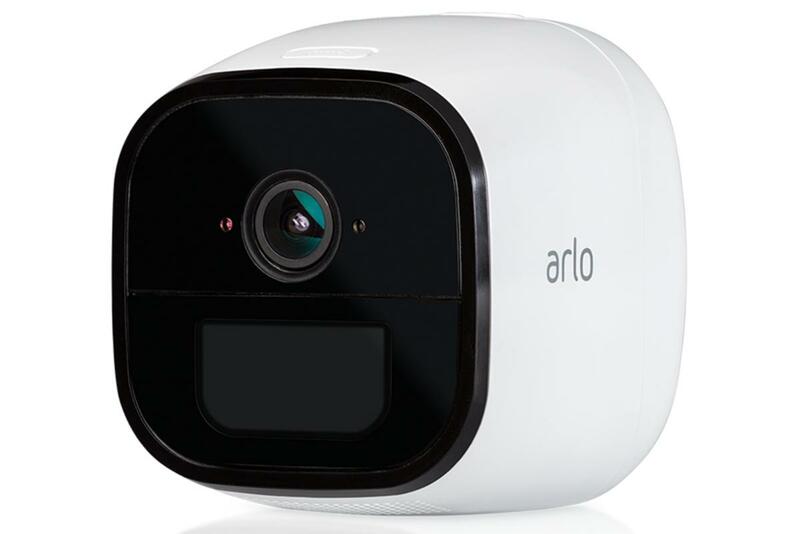 Arlo Go’s design is similar to the Arlo Pro, a white pod-like body with a flat black face, though it’s bigger and more than twice as heavy. 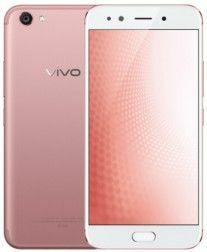 That’s largely due to the hefty 3660mAh rechargeable battery that powers it. You can also plug the Arlo Go into electrical power with the supplied weatherproof cord if you have a convenient outdoor outlet. Netgear also sells a solar panel that will trickle charge the battery. Arlo Go is rated IP65—meaning it’s completely protected from dust and has decent protection from water—and has an operating temperature of -4 degrees to 113 degrees F. The lens is flanked by 850nm LEDs that provide up to 25 feet of night vision. 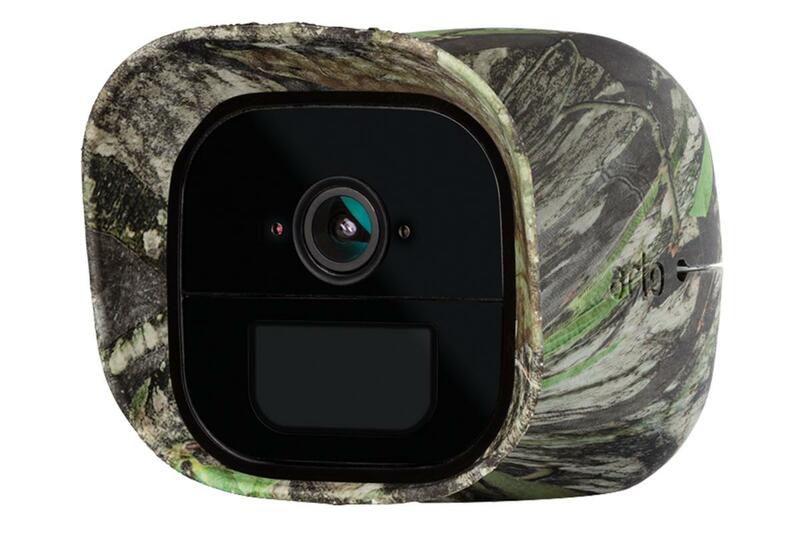 You can turn these off if you’re using the camera for hunting or spying wildlife around your home, and Arlo even offers color, camouflage, and ghillie silicone skins ($20, $25, and $35 a pair respectively) to conceal the camera outdoors.